Functionality for configuring exclusions to monitoring rules has been added; support for embedding of role graphs, and more updates! 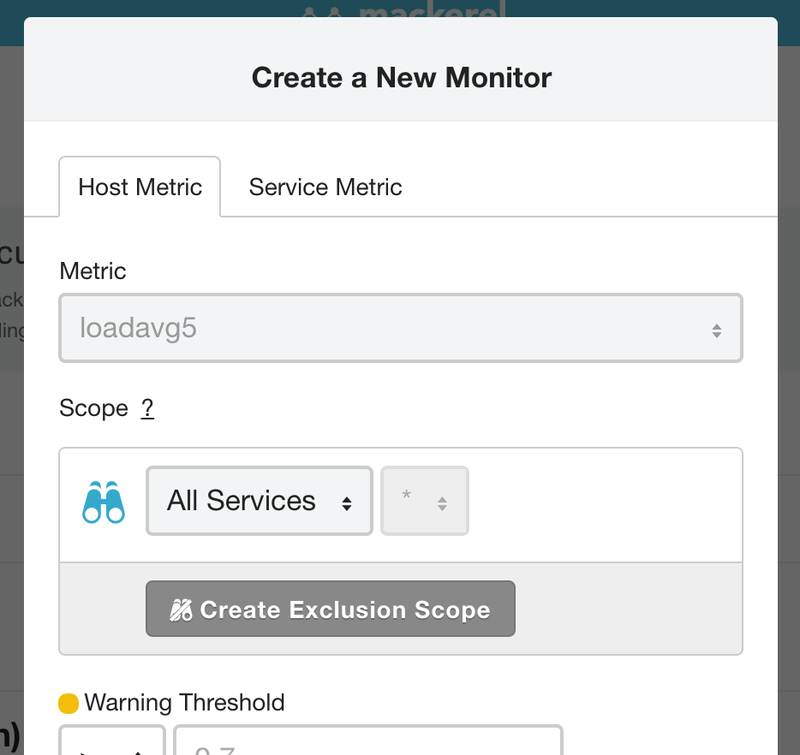 Until now with Mackerel monitoring rules, it was possible to set thresholds and configure target services and roles, however, now we have added the capability to also configure exclusions to monitoring rules of services and roles. Now, when creating a new monitoring rule or when editing one, you can configure the target service and role as well as any services and roles which will be excluded. Before, embedding of host graphs as well as embedding of service metric graphs had been made possible, and now we’ve added embedding of role graphs as well. To access the embedding tag click the share icon in the upper right hand corner of the graph. Embedded service metric graphs can only be viewed by first logging into Mackerel with an account which is authorized to view graphs. 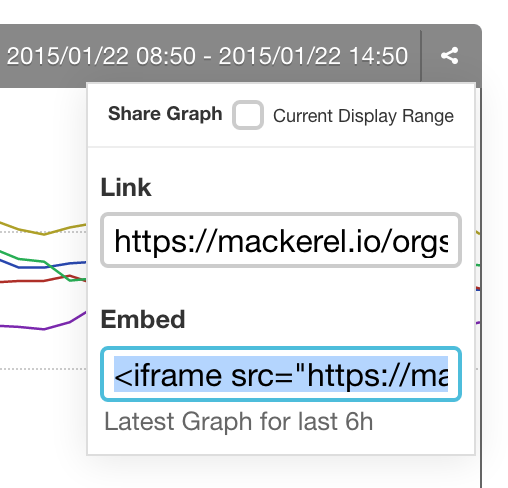 Now all graphs that Mackerel currently offers can be embedded and viewed in any page. Sometimes when there are a lot of on-screen graphs and metrics, graphs may experience some delay, so to help cope with this issue we’ve added support for SPDY to mackerel.io. We are continually fine-tuning and making adjustments to increase speed both client side and server side.